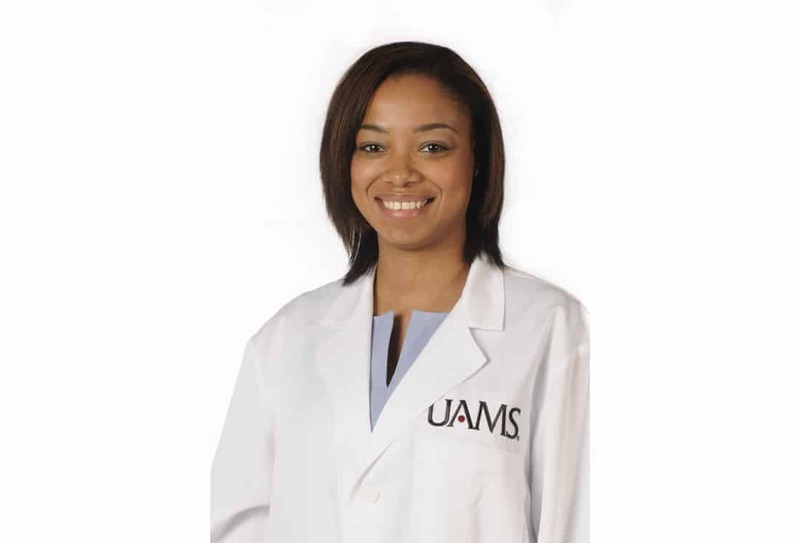 Kelly-Ann Patrice, M.D., is a stroke specialist in the Department of Neurology in the UAMS College of Medicine. July 31, 2018 | July 31, 2018 | Kelly-Ann Patrice, M.D., has joined the University of Arkansas for Medical Sciences (UAMS) as a neurologist specializing in stroke care. Patrice treats emergency stroke patients in the UAMS Medical Center and provides post-stroke recovery care in the Jackson T. Stephens Spine & Neurosciences Institute’s Neurology Clinic. Patrice also treats patients with cerebral blood vessel abnormalities and provides comprehensive testing for referral patients who have had a stroke with an unidentified cause. Patrice is an assistant professor of neurology in the UAMS College of Medicine’s Department of Neurology. In summer 2018, UAMS Medical Center became the first and only health care provider in Arkansas to be certified as a Comprehensive Stroke Center by The Joint Commission. The certification is the commission’s most demanding and designates hospitals that can treat the most complex stroke cases. Patrice earned her medical degree from the University of the West Indies in Kingston, Jamaica. She completed two years of an internal medicine residency at the MedStar Good Samaritan Hospital and a neurology residency at Johns Hopkins Hospital – both in Baltimore. Patrice also completed a fellowship in vascular neurology at Johns Hopkins Hospital.